In these days between the feast of the Ascension and Pentecost we prepare ourselves for the coming of the Holy Spirit. The preparation consists in a longing - a yearning - for a new influx of His grace and a new awareness of His presence in our lives - in our very souls. No matter who we are or how we feel or what we are engaged in, we know our neediness, our inadequacy. Just by acknowledging this need and deepening our desire, we stretch our capacity for God. 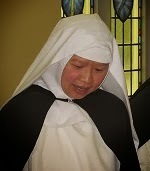 Next Sunday, May 13, 2012 will be the ceremony of First Profession for our Sister Mary Isabel of the Angels. A Profession Ceremony is always a day of happy celebration in a community and a Dominican monastery is no exception. 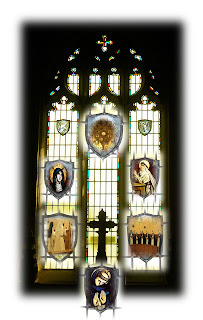 This is the time when a novice will pronounce her vows of Religion according to the Rule of St. Augustine and the Constitutions of the Nuns of the Order of Preachers. The profession takes place in the context of the Mass, which this time will be celebrated by the Provincial of the Western Dominican Province, Fr. Mark Padrez, OP. 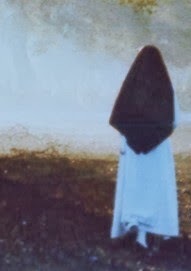 During the ceremony Sister Mary Isabel's white veil will be exchanged for the black veil of the professed. At this first profession, a novice makes her vows for three years. Later they will be renewed, and then finally she will make profession of Solemn Vows until death. 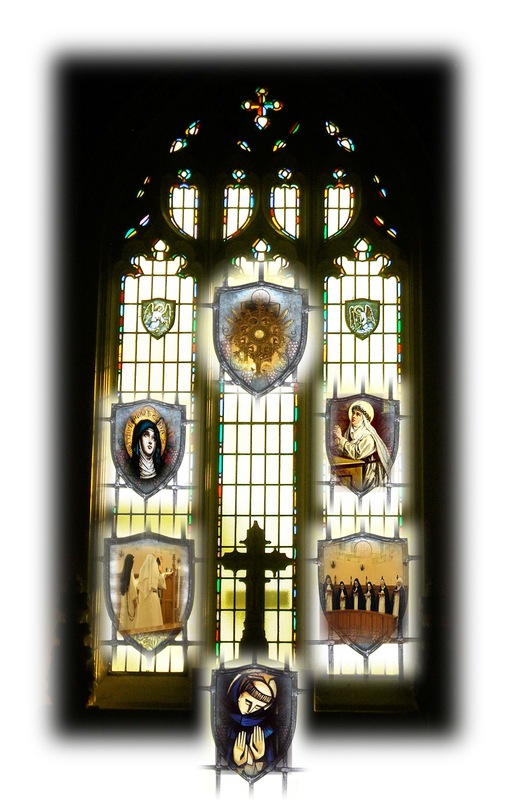 During her novitiate, Sister has been studying the courses which help her to know the history and practice of the Dominican Contemplative Life. For the next few years she will continue this pursuit of knowledge which will give her a deeper understanding of religious life and especially of the science of prayer and a deep relationship with God. After the ceremony, Sister Mary Isabel will no longer be called a novice; she will then be recognized as a member of the Dominican Order. And with this comes the privilege of using the initials O.P. (Order of Preachers) after her name. We welcome all to join us for the Mass and reception on this happy occasion.